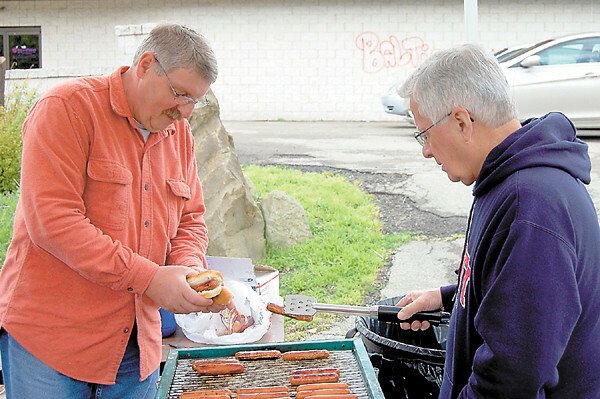 Two volunteers prepare hot dogs fresh from the grill for those who came out to Saturday’s downtown tent revival staged by Vision Ministries of Lawrence County. The event took place in the parking lot of a former East North Street banquet center. — Sam Luptak Jr.